Heart diseases are the leading cause of death worldwide and it is important to diagnose them. 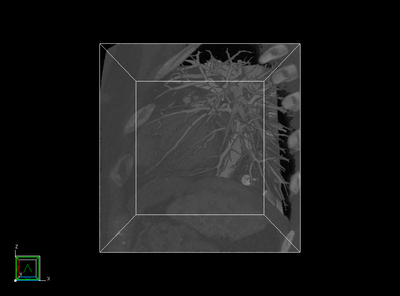 The imaging of the human body has become an important role in diagnosing diseases in medicine. Typical imaging techniques in medicine are computed tomography (CT), magnetic resonance imaging (MRI) and positron emission tomography (PET). These imaging techniques require approaches that visualize their data in a way that humans can understand them. Different imaging techniques as well as different diagnostic purposes require different visualization techniques. In this thesis, visualization techniques used for the diagnosis of heart diseases will be presented and described. Together with two classifications, a catalogue is provided that offers an overview of these visualization techniques. 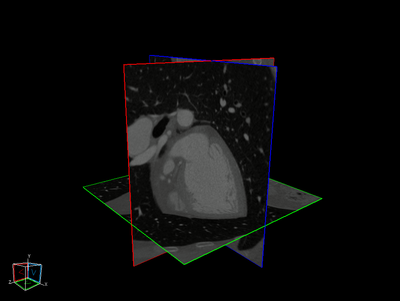 Volume Studio is a program that is used for visualizing medical volume data and developed at the University of Paderborn. In this thesis Volume Studio is extended with two visualization techniques that are selected from the catalogue of visualization techniques. These extensions provide more possibilities for radiologists and medical doctors to diagnose diseases based on volume data.